Our world has been widely affected by carbon dioxide and other hazardous pollutants, which have been mixed up in environment and atmosphere above. The recall for green technology means carbon footprints and level of pollution in our atmosphere has been reached to the extent where survival for living beings is quite different. Either we take the example of Ozone layer or mixing of toxic materials in ocean water through industries, the human created pollution has affected the whole planet. Today there is a need to build eco-friendly houses and time to differentiate between eco-friendly housing vs. ordinary housing. The questions relating to cost and sustainability of eco-friendly housing would be answered through our today’s topic of H-Haus- a hybrid sustainable and eco-friendly housing package. 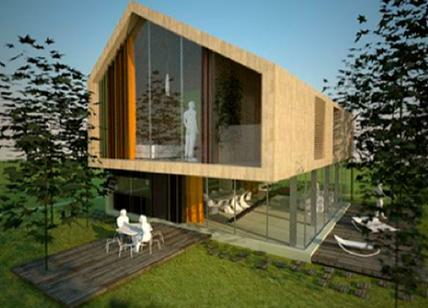 The H-Haus believes in its line of Eco-housing which has been environmentally engineered and each house built has unique and beautiful design as well as high performance and long lasting. Though earth rammed housing may be overlooked as new technology in US market, such technology has been working practical in European region from last several decades. In United States, the cooling solutions and radiant heating are to bring comfortable space, that’s our imagination. A powerful revolution has been brought to HVAC industry for heating and cooling through this technology, and facts are ready to be uncovered and introduced about this powerful revolution. This eco-friendly housing is greatly energy efficient and has tremendous positive effects on environment and efforts to stop carbon emissions from housing. All the housing products which are utilized in this model are high performance shells with great energy performance and it would bring ultimate flexibility for home owners. Such eco homes would are easy to transfer from one point of construction to any region of the world through flat technology by eco-friendly housing companies. Now there is no need of huge equipment for construction, large cranes and trucks, site and area limitations and any expensive transportation fees for establishment and transferring of earth rammed homes. 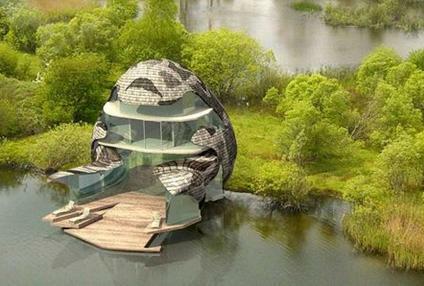 Individuals have been looking for energy efficient, low carbon emission and contemporary high end housing with limitations of time and budget and all these things have been now solved with earth rammed housing. The approach has been spreading similar in Asia and Africa as far as in United States and Europe. Personalized housing includes high cost and carbon emission limitations, and this has been evident that now home owners are conscious about environment protection and external disasters. In one way, best customer services and expertise of eco-friendly housing would be an available solution for personalized housing. The awareness about green housing from housing companies is also a vital part to convert the present home owners to green housing schemes. While eco-friendly homes construction has been brought forward, climatic changes have been put in the final solution mixture for unequaled performance and quality construction. Earth rammed housing is handles with all aspects of modern complex management tools in their design, construction, installation and maintenance. For construction of ECO1, ECO2 and ECO3 homes and all other components, the construction companies are working with their affiliates to bring compatible eco-friendly construction. 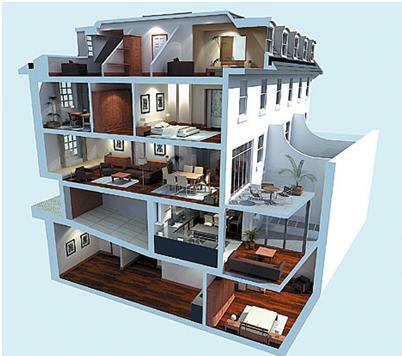 There are several positive ways for reduction of energy and making our homes complete green within limited budget. It is suggested that online suggestions about clean solutions will bring clean future for human beings. Currently there are many online sites where energy assessment calculators are available and individuals are suggested to assess their current energy requirements and compare it with your new housing scheme. You can also compare the energy needs and positive effects of new earth homes with graphs and charts through this online comparison. For example, if you have learned about skylights, they are free and most efficient source of illumination in homes. These skylights are powerful as compared to ordinary power bulbs and lights will flow across your rooms with solar lights which have brightened the home at day time. Rammed earth housing will work with solar panels and all the domestic supply of power would be fulfilled with large solar panels around the homes. This energy will be enough to complete all tasks like heating water, charging of gadgets etc. Solar energy is a clean and pure form of renewable energy source available through revolution of modern technology. Solar energy will cost only in startup for installation of solar water tanks to heat the water and make them available for energy generation as per domestic requirements. Motion sensor bulbs applied for indoor and outdoor use will keep the home lightening without worrying about turning them on or off. These sensor lights will be used to illuminate the pathways and walkways which require power at evening and night time for short time. When sudden disconnection of light bringing problems for charging of our daily use gadgets and domestic power requirements, these lights are good to illuminate when darkness and turn off when it enough light outside. Selection of low water flow toilet mechanisms is also an innovative step in new eco-friendly homes because their performance will save much water through regular toilet and kitchen water use. If you are using motion lights, set the time for their turning off or on and even if you forget, they will adjust the energy requirements through its powerful sensors and much savvy. No matter how we turn eco-friendly, the self-sufficient is vital for a green world without pollution and hazardous wastes. There are many cautions essential today to save more and protect our environment once eco-friendly environment requirements have been read by everyone. Hazardous materials which are put in kitchen sink should not be poured into the pipe lines or thrown away, because these ingredients will contribute directly to the environmental pollution. It is important to use biodegradable or non-toxic substitutes. Read the signal words which are published with words like cautions, warming, danger or poison. These products ingredients are highly concerned with toxic material inside them, while caution is used for the products which are less toxic in nature. New earth homes are an effective solution for our environmental protection and lowering down the carbon footprints of housing.